We have a winner. Congratulations commenter number 48, Minna. You have won my set of Falcon Enamelware mini-tumblers. I have emailed you for your details, please respond as soon as possible. Enjoy! Thank you so much to everyone who commented. Keep an eye out, I have a few more giveaways coming up this December for you to enter, and hopefully win. You guys are wonderful! I am a sorry excuse for a food blogger. Other than a rather impressive collection of motley props, I don't really have very many useful gadgets. I'll be honest. I am gadget girl. I love gadgets of all kind, the electronic versions, the photographic ones, the computers, the phones... but kitchen gadgets? Erm, not so many. I don't have the de rigueur stand mixer, no food processor, no coffee machine (does the French press count? ), I am babysitting a pizza stone (and yes, I do have to give it back) and my oven is ancient. I am lucky my mom made me carry back her mixer-grinder back from India, so at least I don't need to find a spice blender, and my parents-in-law gave me their (really) old, silly powerful blender that I use for everything. And this is why I want to tell you about a few of the best and hardest working kitchen sets I own. Which are - my classic prep set, my beautiful red baking set and my adorably cute mini tumblers from Falcon Enamelware. If you read this site often enough, you will know that I very rarely make outright recommendations for products, and I am also particular about the products I review. In fact, the last time I reviewed something was way back in July and I can't remember if I reviewed anything before that. My website is not my business, and I don't make very much money from it (ahem, I live off my husband instead, wink). Its a personal choice that I made a while ago, and while I work freelance in the writing/ food writing/ recipe development area. My website is my personal space, a place where I share a lot of what makes me 'me'. Its about my family, my friends, my hopes, my dreams and a lot of these stories revolve around food. So when I make a recommendation, it is because I have used the product for a long time and I love it, and I think that you will love it too. 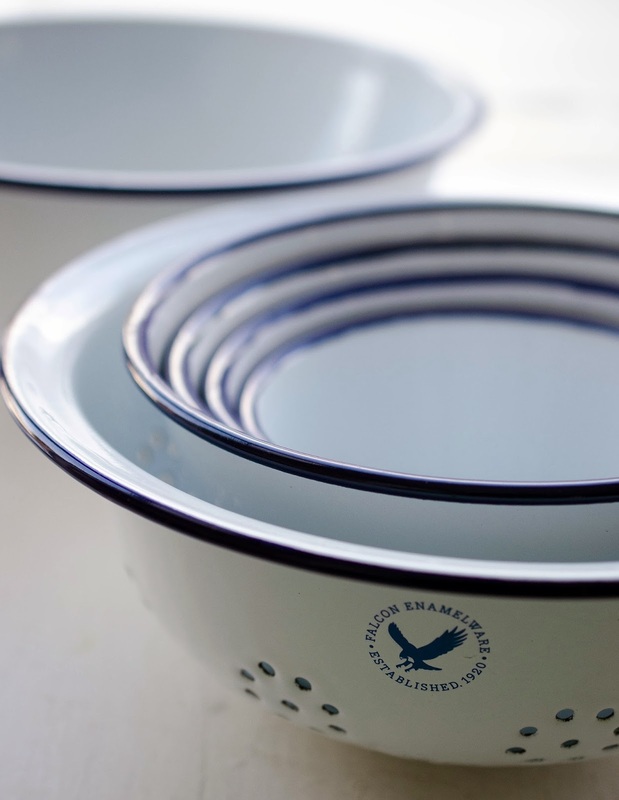 Falcon Enamelware is a cult British company that specializes in making their distinctive blue rimmed white enamelware. Porcelain is fused on to heavy gauge steel, giving these pieces durability and strength. Falcon has been slowly revitalizing their products and redesigning their site, and now comes in a beautiful range of colours and new products are being added to their range all the time. I was offered the chance to check out their Prep Set last year. Having used it for a few weeks, I was so impressed with the versatility of the set, that I also ended up withe their classic Bake Set, in a beautiful fire engine red. These two sets are a constant in my kitchen. The prep set pretty much sits on the counter all the time, and its one of my most used items in the kitchen. I use it for baking, cooking, prepping, washing and even serve food in it. I look after it carefully, don't use abrasive cleaners and like to use non-metal utensils, just the same as I would look after a piece of cherished cookware. Its a breeze to clean and still looks brand new after almost a year, and I can totally see it being a set that I will pass down to Adz. Its the same with the Bake Set. 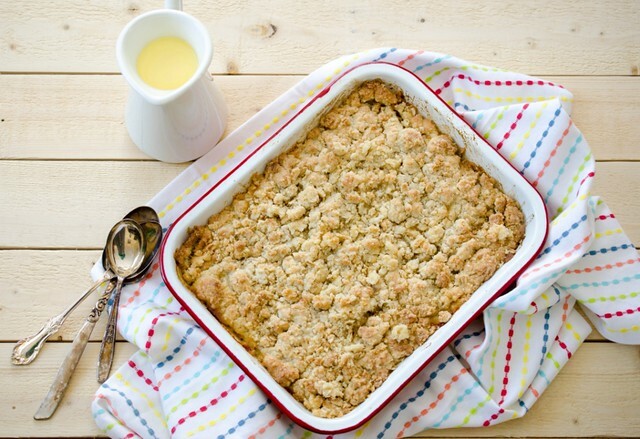 The bake set consists of three bake pans and two pie dishes, and its incredibly versatile. It looks beautiful, and you can take it from oven to table. Enamelware is oven safe up to 270 C (an incredible 530 F) and can be used on the hob too. Its easy to clean, and any stains come right off. I love serving in these dishes, and you can do a full festive menu with these gorgeous dishes. Again, I look after them quite carefully, and as a result, they still look stunning after almost a year's heavy use, from roasting to baking to simmering gravy. My friend Neko was so impressed she also ended up buying a set for herself :) I think she may be a little addicted to these guys! When Falcon Enamelware contacted me this year, to check out their new range of mini tumblers, I think I might just have bitten their hands off :) These little mini tumblers are adorable, and they are a result of Falcon's collaboration with the fabulous French homeware and fashion company Merci. These mini tumblers come in two sizes, and the usual Falcon colours of white/ blue, red, grey and beige/ grey. The larger ones also come in two limited edition colours. The mini tumblers hold the perfect serving of dessert, and I also love using them as espresso cups too. They are heavy, well made and look beautiful, as well as being their usual hardworking selves. You can bake in these, and my head is already spinning with visions of delicate souffles and creams. 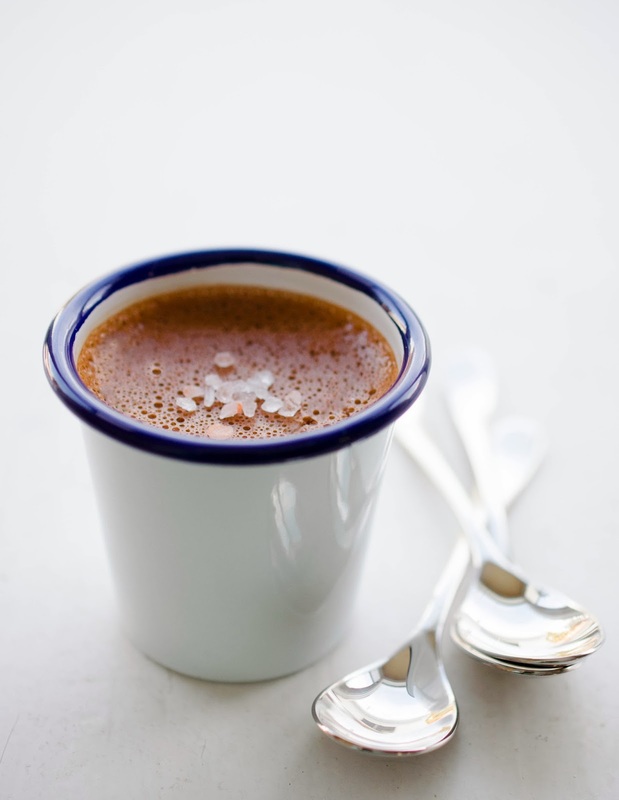 I decided to make these simple chocolate pots de creme, to showcase the elegance of these little tumblers. This recipe is super easy, yet the results are just incredibly delicious. My husband (who's gotten a little blase, him) LOVED these. Rich, dark and light chocolate combines with indulgent cream, and a light sprinkle of my favourite Himalayan Pink Salt just finishes this dessert off perfectly. You can add a festive twist by splashing in a couple tablespoons of of your favourite liqueur. I usually add my homemade Baileys Irish Cream, but I wanted to make this kid friendly for now :)As this recipe is all about the chocolate, you do need to use the best quality chocolate that you can find, it really makes a difference. 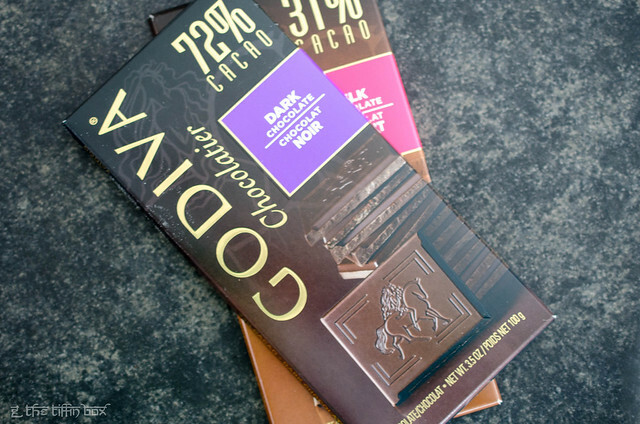 My personal preference is for lighter chocolate, so I used a combination of Godiva's milk and dark bars, but you can go all dark for a really intense, indulgent dessert. Now that you have the recipe - scroll down for a giveaway from the nice people at Falcon! Chop chocolate coarsely, and place in a blender or food processor, along with a pinch of sea salt. Blitz until finely chopped. Heat the cream and half and half, until just steaming. Do not boil. Pour the hot cream into the blender, and let it melt the chocolate for a few seconds. Blend for about 45 seconds, until the chocolate mixture is creamy. Beat the egg and egg yolk lightly, and with the motor of the blender running slowly, pour it into the chocolate cream. Blend for 30 seconds. 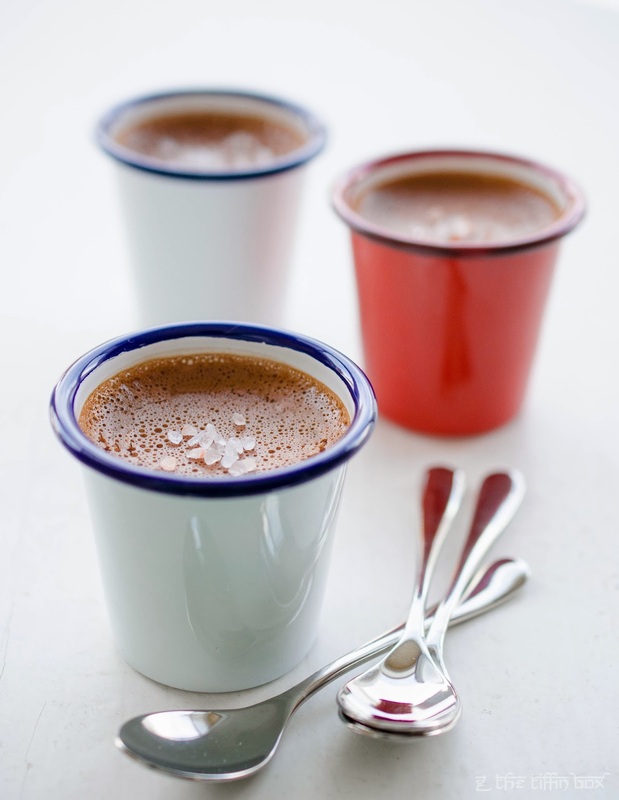 Pour the chocolate cream into your mini tumblers, and refrigerate at least 4 hours, ideally overnight, until set. Sprinkle over coarse Himalayan Pink Salt to serve. See, this time around I decided not to be greedy, and asked if I could have a set of mini tumblers to give away to my lovely readers. So, as an early Christmas present, thanks to the generosity of the folks at Falcon Enamelware, one lucky reader will get their very own set of these beautiful mini tumblers. To be in with a chance to win, please check out the rules below, and enter accordingly. One reader will win a set of four mini tumblers (two beige/ grey and two grey). To participate in this giveaway, please do the following - head over to the Falcon Enamelware website, here, and take a look at their beautiful products. Then come back and let me know what your perfect Christmas present from them would be, and what you would prep/ bake/ cook/ serve in it. Please note, that only comments that answer these questions will be in the draw for the giveaway. Please leave an email address or a way for me to contact you if you win. This is really important. The giveaway ends on December 4th at 8 PM MST. I will pick a winner and contact them shortly afterwards. Please respond to the email as soon as you can. If I don't hear back within 2 days, I will choose an alternate winner. I will post the tumblers to the winner using Canada Post's parcel services. Please note that I will mark the package as a gift, but you will be responsible for an taxes or customs duties that your government levies on the package. Disclosure: I was not paid for this review. Falcon Enamelware provided me with a prep set (last year) and a set of mini tumblers to review and a set of mini tumblers to give away. I love the products so much, that I have invested in my own sets too. I was not obliged to review the products, and I chose to do so on my own. All opinions are absolutely my own. Oh, Michelle, what great fun! I love kitchen gadgets and machines, but my true love is dishes and bakeware. The Falcon Enamelware site has some lovely pieces and it was hard to choose, but my pick of a perfect Christmas gift would be their 5 Piece Pie Set. Perfect for baking and serving your Creamy Fish Pie or another cold weather favourite, Jamie Oliver's Steak, Guinness and Cheese Pie with puff pastry lid. The pie plates look and they are functional, too. Hi Michelle, what a delicious recipe and wow, an outstanding giveaway! I've loved enamelware since childhood! My mother always used it in her kitchen and I have some of her vintage pieces. I've popped in to the Falcon Enamelware site (thank you for the referral!) and also liked their web page. (I am already a fan of yours!). Given the chance to own some Falcon Enamelware, I think I'd love the Prep Set (blue and white)…. with the colander and the various sized bowls, I think the set would get daily use in my kitchen… everything from vessels to pop freshly harvested strawberries, baby cos lettuces and cucumbers from my garden, to mixing sauces, and, of course, to use as props in my food photography! Thank you for this great post! Hey Mich, wonderful idea of a giveaway. The enamelware look really classy. Given a chance to own one i would definitely like to have the 5-piece baking set. As a novice in cooking this would give me a chance to try out many dishes, especially desserts and cakes. I'd love to make a red velvet cake. The bakeware set. I'd make pot pie - with all the turkey leftovers from tomorrow night. I liked them of FB too! Wow. I love enamel and it would be so hard to decide. I think I'd go for the Bake Set and make my baked pumpkin oatmeal in the smallest rectangle one. Then I'd use the pie dishes to make some wonderful beef stew pot pies. Oh, my - I can just picture how tempting they'd look in that lovely bakeware. Thanks also for the great chocolate pots de creme recipe. I liked them (and you) on facebook, too. My email address is kitchenfrau@gmail.com. I also like Falcon Enamelware on FB (and your page too - I love your photos, can't wait to see what else you whip up!). I would love the serving tray as a Christmas present! I could serve limitless number of vegetarian casseroles and bakes in them! The bakeware set. Duh! I'd be makin' my self some chocolate chip banana bread! Oh Ya! Lovely enamelware. I especially like the red colored ones. For some reason the white with blue rims reminds me of hospital dishes. Weird right? But the red and grey ones are gorgeous. I think my favourite of the lot is the prep set as I would use it the most. 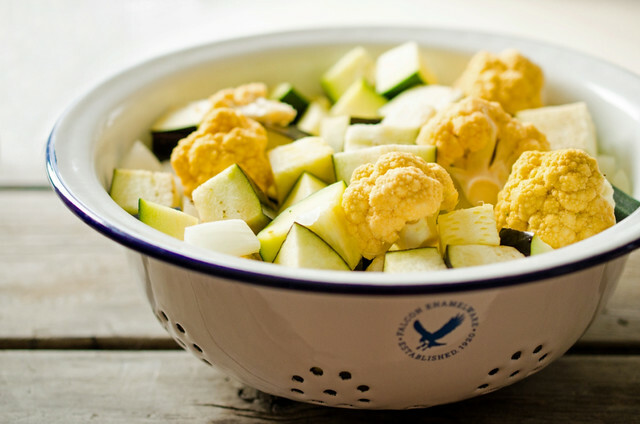 The colander for draining fresh veggies daily or cooked pasta or cooked rice. The various mixing bowls I would use to make marinades, raita and so much more. Given that they are enamel and so pretty, I can use them for prep and also to bake and serve. A bowl of soup, a mini cake, pudding. The bowls are just so versatile. I like falcon enamelware on Facebook. I love the colored tumblers. They would be such a great everyday way to spruce up the table. Good for hot or cold! Hey Michelle, I love my blue & white Falconware Bake Set. The best part is being able to use it to roast whatever and then cook up pan sauces right on the hob after. Next, I would love to get a matching prep set for Christmas. For the extra entry, I already liked the Falconware FB page. So hard to choose but my daughter is moving into a new flat next month and she would love the Bake Set!! I want that bake set soooo badly. I would prepare most of Christmas dinner with it, including apple and pumpkin pies! P.S. I liked their Facebook page for an extra entry! I like the Bake set. This time of year especially I am baking a lot. I will be baking some mint brownies with a chocolate ganache. I make a pumpkin crisp and I also make a lot of eggnog bread and cheesecake bars. I am in love with all their products. Seriously. If I HAD to choose just one, I think I would choose the pie set and I would make chicken pot pie in it (or maybe an apple pie)! Seeing as I am a huge coffe and tea lover, my favorite products from the website are the Limited Edition Tublers (in green and grey) along with the Falcon Enamel Tea Pot. It reminds me of the tea pots we had in Russia when I was a child. It would be lovely for brewing my many different loose leaf teas. and I liked their FB page....and the first thing I would make with the Bake Set......Lasagna....a great big pan full! So many lovely choices, but if I have to choose I will go with.....OK the prep set. I could make and serve the side dishes to my Christmas meal. Perhaps roasted brussel sprouts with bacon and balsamic vinegar glaze, buttermilk mashed potatoes and your delicious looking Pot De Creme. Oh and I liked you both on FB! I'd serve Earl Grey Tea in the Enamel Tea Pot. Well now their bake set is definitely going on my Christmas Wish List, white with blue rims please! That is such a cute tea pot too. p.s. I did like you on FB, not idea what's taken me so long, I love your recipes! I would LOVE the baking set! This would be perfect to make all of the Christmas side dishes in! Sweet potato casserole, green beans, stuffing etc! Yum! Liked both pages too! BTW I love that you are in Edmonton as I grew up there and it will always be home to me! I love enamelware, so I want it all, but my first choice would be the bake set. I would make and serve a lot of Christmas dinner in that, such as the stuffing, roast potatoes, and roast Brussels sprouts. Wow your pictures just keep getting better!! It's incredible! The prep set is gorgeous (although all enamelware is, anyway! ); I'd make delicious baked goods like fruit filled muffins from all the spring produce we have at the moment! I would want the bake set! How beautiful! I would make my favorite tofu dish-- tofu, onion, red and yellow peppers with a Korean chili & soy seasoning. I also "liked" Falcon's facebook page! I liked Falcon's Facebook page too! I LOVE LOVE Falcon Enamelware. I was so happy when I found out Crave was selling them last year. I already own the bake set and would probably buy the matching prep set in the future. I want the complete collection (yes, a bit greedy but I love them so much). I noticed they have a teapot now. I would love that. That and the tumblers would be so adorable together. I can imagine doing tea times with my girls in the afternoons. A pot of tea, some biscuits and pot de cremes in the mini tumblers (or anything creamy/custardy & delicious). Coincidentally I was making some London Fog pots de creme while entering this giveaway (coincidence? hmmm :) ). Now I am waiting for them to set before I can dig in. I've like their Facebook page from before since I am already a fan. I 'liked' their FB page, and I real-time liked all their products! If I have to choose, it would be either the prep set (because it so neatly stores together really useful bowls in a small space--ideal for my tiny kitchen and big cooking dreams) or the pie set, because I've been very excited about pie lately, after using the tutorial on abeautifulmess.com's blog to overcome my pie crust fears! I tried their apple pie with swiss cheese in the crust, and next I want to make a chocolate mint pie with Girl Guide Thin Mint cookies in the crust! I love the bake set! I would make my blackberry crumble pie in the pie dish and use the big bake pan for nanaimo bars and cheesecake brownies (the more the better)! I'd love the 5-piece baking set! I would make crumbles and brownies. Thanks for a great giveaway. I have also liked Falcon on FB. I liked their FB page ages ago, their products are gorgeous. I reckon I would love to get the bake set as a gift. I like to bring a noodle kugel when visiting friends. I'm the oldest person in my running club, most of the others are about 20 years younger than I am so I like to feed them. I'm the guy that cooks like a jewish grandmother. I would love to have the baking set. Enough pieces to replace a lot of my old things. I would use those pie plates for chicken pot pies, a staple in my house for the Edmonton winter. Hi Michelle, I especially like the bake set and preparation set. I would love to have these two for a gift for two reasons, 1) I dont really have a good preparation set, 2) The one bake set that I have is an old one. The bake set from Falcon Enamelware with various sizes is very convenient especially if I want to bake something in smaller quantity using the smallest size available. My family loves the ravioli lasgna that I bake with sausages, that is some that I would love to bake using this set. Done! Sent a like on FB. Looks like I spotted this and am getting in just in time! I would pick the prep set! I need a new colander to begin with, and the other bowls are lovely as well. I'd definitely choose the classic blue-edge on white, they are so beautiful. Also Liked them on Facebook for the extra chance! Thanks for the giveaway! Also, both Facebook pages have been liked! Thanks for the giveaway, Michelle! I'd like your Irish Coffee receipe (just for comparison) Cheers. How many pots de creme does the recipe make? I have 6 children and 2 adults to serve tonight. I am thinking I should at least double the recipe. Can anyone help? Hi Micheal, 4 smallish pots. I'd treble the recipe. Can't wait to get my tumblers to make this.